garden design for contemporary living throughout Gloucestershire, including Cirencester, Cheltenham, Wiltshire and the Cotswolds. Elementa Garden Design specialise in designing and installing gardens in Gloucestershire, Cheltenham and throughout the Cotswolds. Award winning garden designer Nick Dickinson, has been creating beautiful gardens for four decades now. Nick is a much sought after plantsman and garden designer who is able to take a design brief, however sketchy and transform your garden into something that will really stimulate the senses. At the core of Elementa is the ability to produce sheer good design. We are renowned for quickly and accurately interpreting our client`s brief and then producing elegant, bold schemes that they recognise as their own. Elementa is blessed to have some exceptional landscape technicians to install the scheme for you, to the budgets set at the design stage. Nick Dickinson personally supervises the installation to ensure that those essential details are there in the completed garden. Nick physically built all his own designs over the first two decades of his career. This gives him an invaluable insight into not only the technical aspect of an installation but also a practical lesson in form and function. 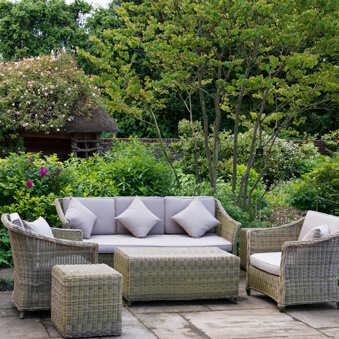 To begin your exciting journey arrange a no obligation visit to explore your gardens potential. Call Nick on 01285 760 263. At the core of elementa is the ability to produce sheer good garden design. 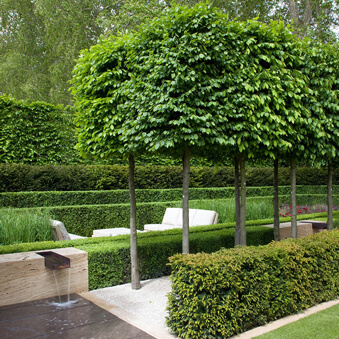 With 40 years of experience, Nick Dickinson’s garden designs are bold, exciting and innovative. From budgets agreed at the design stage, the garden is then installed by elementa contractors to ensure the specification, agreed costs and crucial details are all maintained. Elementa garden design then offers various aftercare plans to give you the confidence that your garden will continue to mature and thrive over the years as intended.